“I had never told the details to anyone until May 2012, during a couple’s counseling session. The reason this came up in counseling is that my husband and I had completed a very extensive, very long remodel of our home and I insisted on a second front door, an idea that he and others disagreed with and could not understand. And that may answer another strange anomaly. Because since 1993, and through some listings even today, there was another tenant at what is now the Ford property. It is listed as this person’s residence from 1993 to July 2007, a week or so after she sold the house to the Fords. 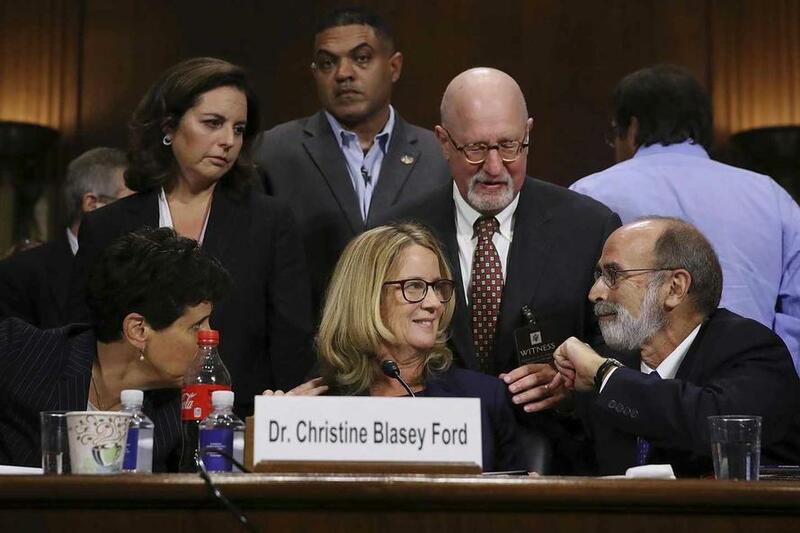 Why has Christine Ford never said a word about Dr. Randall? And why has she been evasive about the transcripts of her crucial 2012 therapy session, which she can’t seem to recall much about either? Did she provide them to the Washington Post, or did she just provide the therapist’s summary? Who was the psychologist?